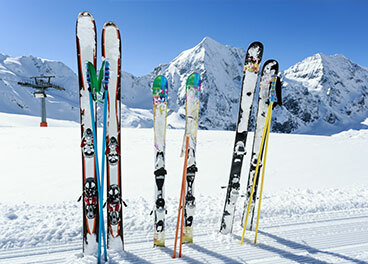 Along with our top of the line skis, boards, and seasonal accessories, Mount Kirby is extremely proud of our valued and established Service Center. Mount Kirby takes the performance of your equipment as seriously as we do our own, which is why we use nothing but the best when it comes to treating skis and snowboards, and that is the Montana Snowchallenge. Mount Kirby is proud to boast 1 of only 4 of these prestigious machines to be found in tuning shops in North America. It is one of the most sophisticated robotic tuners around with over 25 pre-programmed base structures and the ability to produce up to 3 degrees of side-edge bevel. 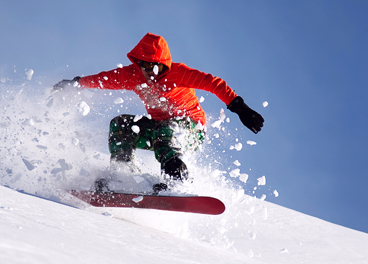 It also supports custom base structures to ensure that no ski or board will leave our shop without top-notch tunings. Of course, along with a great machine, high quality tuning requires some very skilled individuals to do the job. 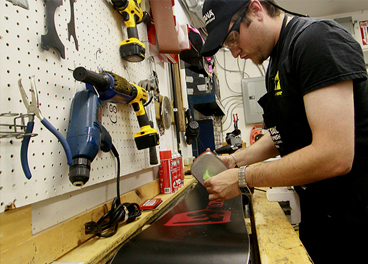 Mount Kirby Skis and Boards only provides the best techinicians around to perform your tuning needs, and it all starts at the top, with our Owner Keith Danielsen, who has been tuning skis since the 1970’s and still does today. So come in to our Oshawa Location and take the Mount Kirby Skis and Boards “Montana Snowchallenge” to see our exemplary tuning center and the results it produces for yourself! !